MASONTOWN, W.Va. (September 25, 2017) – The Rocky Mountain ATV*MC/KR4/Husqvarna team spent the weekend in Masontown, West Virginia at the Rocky Mountain ATV/MC Mountaineer Run GNCC. 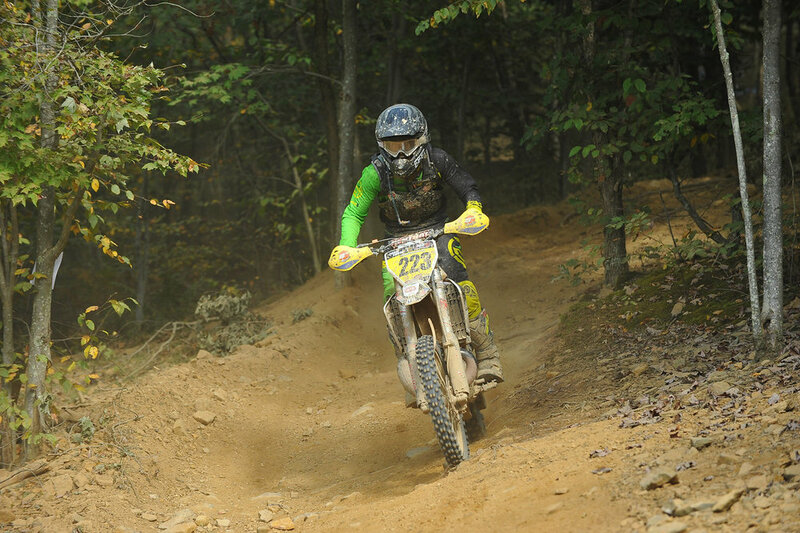 The eleventh round of the Grand National Cross Country (GNCC) series put the racers to the test with unexpected hot and humid weather conditions, but the KR4 team produced solid results atop of Marvin’s Mountain Top. 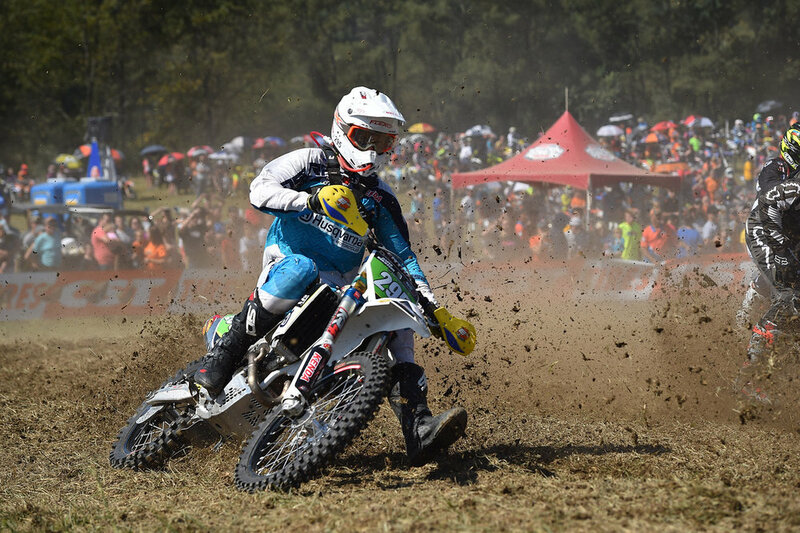 After clinching the WXC title at the previous round, Tayla Jones decided to try her hand at the pro race where she lined up in the ultra-competitive FMF XC3 125 Pro-class. Jones didn’t get off to the best start, but quickly made passes as she entered the woods for sixth. Jones settled into a pace and maintained the sixth-place position throughout the remainder of her first three-hour race. Jones also finished an impressive 36th overall! Grant Baylor had his second-best finish of the season in the XC1 Open Pro class where he landed a top-five placement after making a last-lap pass for fifth. Jesper Borjesson also found success on the last lap of his XC2 250 Pro race. Borjesson is still trying to get back on track after an injury sidelined him earlier this season, but is showing promise in making a top-five finish in the remaining two rounds. As if the conditions weren’t rough enough, Hunter Nuewirth was also dealing with a virus that left him feeling subpar as he lined up on Sunday morning. Nuewirth rode a consistent race in fifth, and still maintains the runner-up position in the XC3 125 Pro-Am class. Chase Sweda started outside the top-10 in the 250 B class, and worked his way through the pack to round out the class podium. Sweda continues to sit ranked third in the championship standings. Conner Keegan landed a top-ten finish in 4 Stroke A Lites, while Brandon Keegan finished fourth in 200 B. Hank Hayes was sitting in a podium position in the ultra-competitive 200 A class after the first lap, but had to cut his race short on the second lap and settle for eighth. 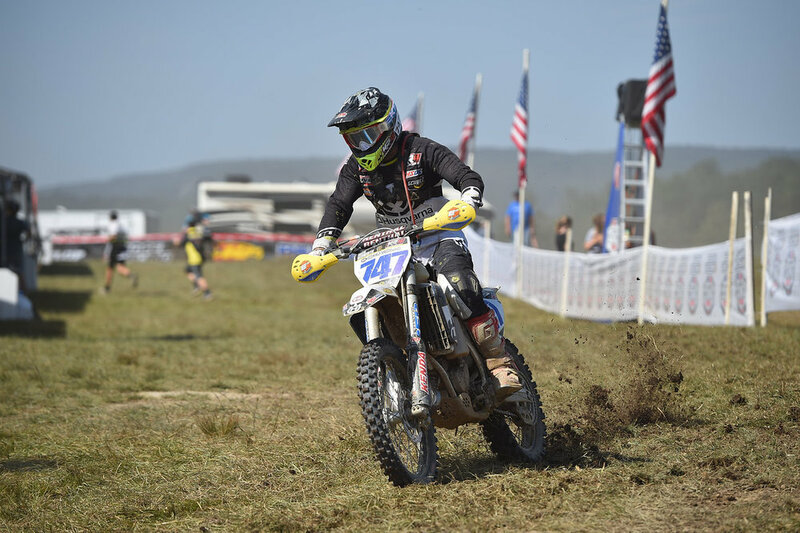 TJ Fine found success in the rocky West Virginia terrain and placed second in the 4-Stroke C Lites, while support rider, Jesse Groves, also crossed the line second in 200 C. Troy Ayers finished 11th in the Senior C (40+) divisor. The Rocky Mountain ATV*MC/KR4/Husqvarna Team resumes racing this weekend at the Hidden Valley Full Gas Sprint Enduro. GNCC Racing picks back up in two weeks, October 8, with the Powerline Park GNCC In Sr. Clairsville, Ohio.